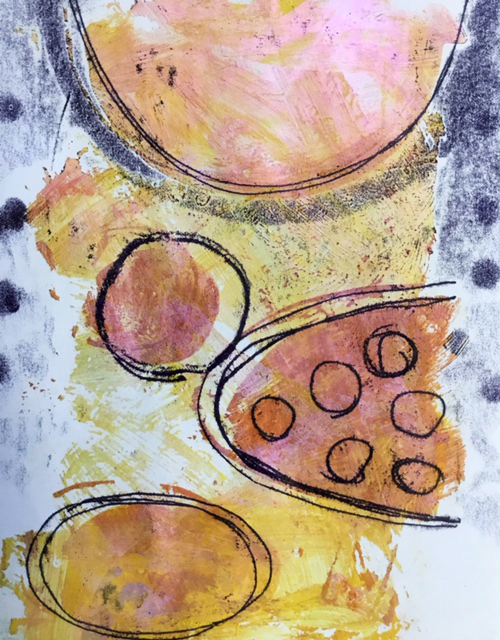 Come and spend some time immersed in playful colour experimenting with gelli-plate monotype printing - the kind of printmaking you can do at home on your kitchen table without the need for an etching press. You will make paper stencils and masks, use textured rollers for mark making and find out what other paraphernalia you can use at home to make lovely prints. You'll discover what effects you can get using different types of paint. You'll go home with a gelli-plate recipe to make your own, and starter kits will be available to buy from Delight & Wisdom should you want to give it a go at home. It is a particularly good activity to keep kids of all ages amused for an hour or two during the summer holidays. Cost: £95 including a £30 deposit on booking. Materials, lunch and refreshments provided. For more information please email us or phone Delight & Wisdom on 01434 632818.